by Ewa Gorna from http://www.montenglish.com . One of the most important things for me in teaching, no matter what age the students are, is students’ autonomy. Autonomous students are intrinsically motivated, willing to take responsibility for their own learning and aware of their preferred learning strategies. The task of the teacher is to foster students’ autonomy in their classroom. One of the ways to foster learners’ autonomy is letting students discover language rules on their own and come up with their own rules. This is why I try to prepare tasks for my students in a way that lets them do that. As you can see it’s very simple to make and, as you will find out in a moment, very simple to work with. The next step is to cut up the table into separate squares and group together all the pieces with the same difference in spelling. This is the trickiest part for most students, especially when it comes to the rule with doubling the consonant in the CVC pattern. First time round it was a challenge for my students. They needed help understanding the rules, for example, the rule with adding the -s- suffix to words ending in -y- (why is it ‚play – plays’ but ‚ cry – cries’). The more we did this activity, however, the more independent they got. The last set of spelling rules we did concerned the -ed- suffix. It took them 3 minutes to work out and define the rules. 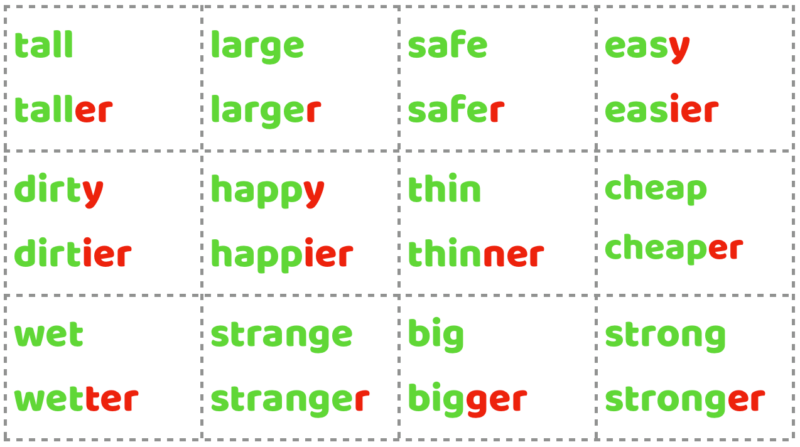 So as you can see this very easy to make and very easy to use exercise can help your students work out spelling rules on their own. You can do it with kids on the board or give the handout to them to work independently or in small groups. You could even set it as homework for them, kind of a flipped classroom situation – discover the rules, then come back to the classroom to practise them. 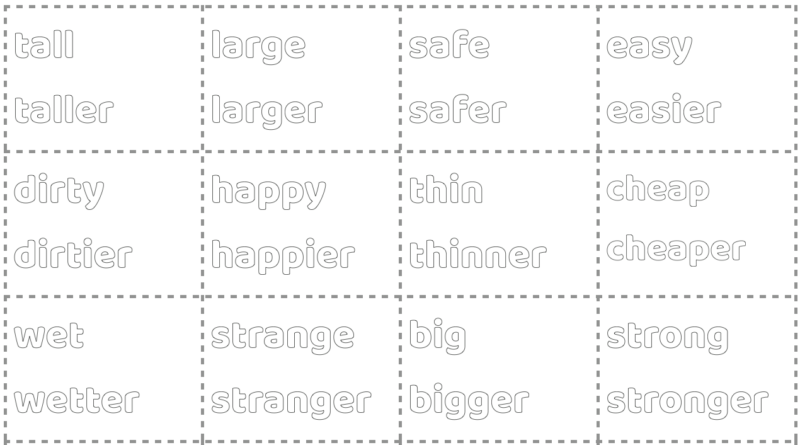 You can download my worksheets for the -ed- , -s- , -er- , and – ing – suffixes here. There are two identical tables on each page so make sure you cut the table in half before handing it out to students.